Gluten-free matzah, animal liberation and free chicken soup – J. Seconds for Passover, anyone? 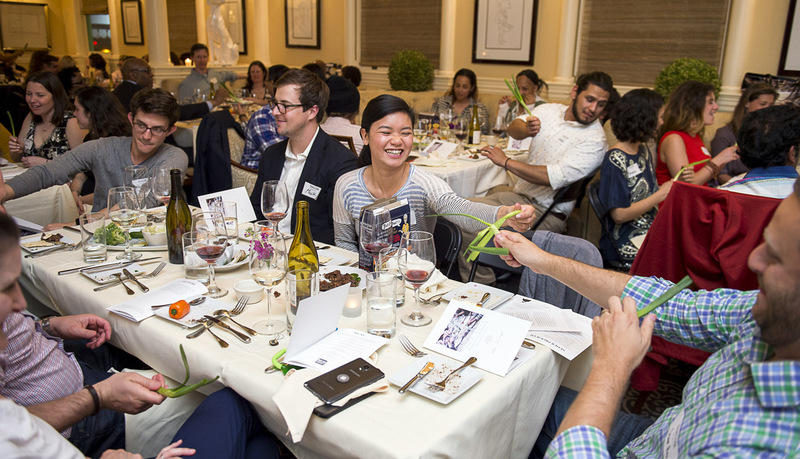 Several of the events and enterprises mentioned in this column before are returning for their second appearance this year, establishing a foothold in the Bay Area where Passover offerings are creative and plentiful. Cult Crackers, the Berkeley-based artisanal cracker profiled in this space a few months ago, is offering its own matzah for Passover. Its cassava flour crackers are naturally hametz-free, so it wasn’t hard to cut them into the size of a matzah square. They also happen to be grain-free and gluten-free, in line with many of today’s diets. But because they have seeds such as sunflower, flax and sesame — all kitniyot (grains and legumes) — they are not considered kosher for Passover in Ashkenazi homes (nor do they have any kind of kosher certification). 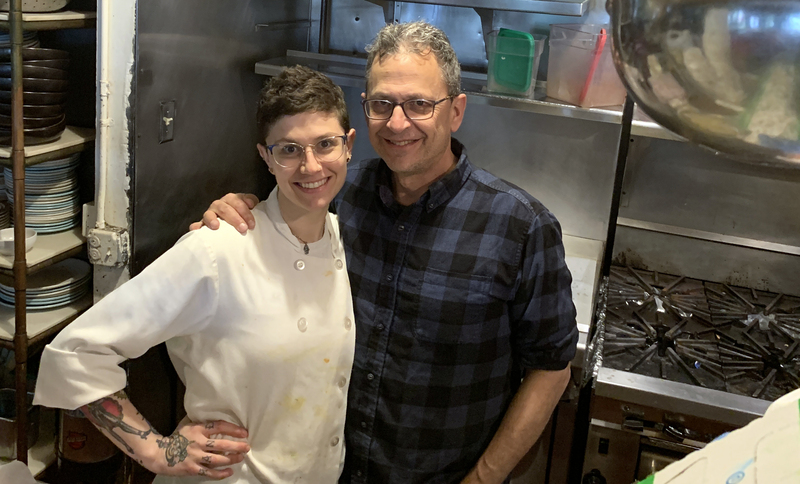 The matzah came about because of the many Jewish food producers who happen to work in the Berkeley Kitchens, where a number of commercial kitchen spaces coexist in one building. That environment leads to a lot of collaboration and sampling among neighbors. Dianna Marguleas Dar, a co-owner of Cult Crackers, used to share her gluten-free kitchen space with Sadie Scheffer of Bread Srsly, a gluten-free sourdough bread company. It was Scheffer, who can’t eat gluten, who asked Dar to make matzah for her seder. Soon, other Jewish tenants in the Berkeley Kitchens found out. Even the Jewish landlord wanted in, so he could offer it at his seder. “All of a sudden we were having a matzah movement,” said Dar. The matzah will be available via shipping from the website, or at the North Berkeley Farmers Market on two Thursdays, April 11 and April 18. It will also be carried by the Local Butcher Shop in Berkeley and Rocky’s Market in Oakland. While community seders with different kinds of themes abound, there are two worth highlighting here for their unique offerings. This is the second year running that Joan Laguatan, a self-described Jewish-Filipina vegan, is organizing a vegan seder with themes of compassion, liberation for animals and environmental awareness. Her first last year was smaller in scale, but this year she is expecting up to 100 people. Tickets are mostly sold already. The seder will be held at Manny’s Café, the civic engagement space in San Francisco, on Saturday, April 20. Last year, Laguatan invited the heads of environmental nonprofits and vegan food companies. 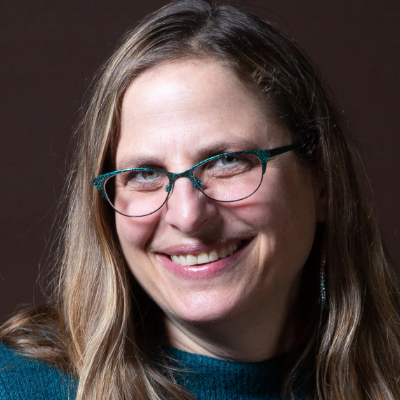 Building on that theme, this year she has invited the director of the national nonprofit Jewish Veg, who is flying out to attend, as well as Marin-based vegan activist Patti Breitman, who will lead the seder with a newly published haggadah put out by Jewish Veg. Assaf Pashut, owner of Flying Falafel, a local vegan restaurant, will be in attendance and will do a short comedy routine. Reboot is also a sponsor, as is entrepreneur Adam Swig. The event is kosher and vegan (food by Dina’s Kosher Catering) and will feature 10 Ashkenazi and Sephardic dishes (kitniyot or beans will be served in the Sephardic dishes), salads and a Moroccan vegetable tagine for the main course. Tickets are $48 on Eventbrite and are nearly sold out. The second seder is being put on by Shalon, with a theme of modern slavery and emancipation. Shalon is a fairly recent enterprise run by Annette Blum, who organizes Shabbat dinners and invites experts on different topics to come and educate diners, offering concrete actions one can take to effect change. The theme of last year’s seder was racial justice, and this year’s focus is on human trafficking. It’s happening the first night of Passover, Friday, April 19 at the Hotel Majestic in San Francisco. Tickets are $118. The seder’s global menu will not be kosher for Passover, but will be kosher-for-Passover-style. Tickets are available through OneTable. In the Purim tradition of mishloah manot, or giving gifts of food, Chabad of SF teamed up with the SoMa Israeli bakery Frena to pass out 200 cups of matzah ball soup to those in need. Frena donated the soup, and Chabad volunteers helped distribute it in the Sixth Street downtown corridor. They also gave away hygiene kits that were put together by volunteers at Salesforce the day before.